From June to February we are all enjoying the charm of Classic Hydrangea. 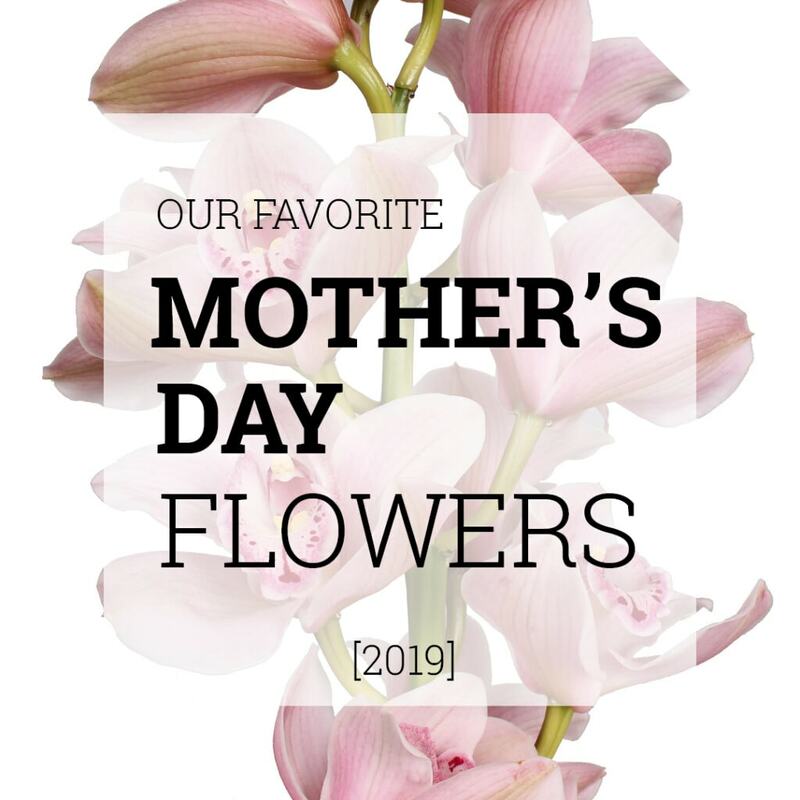 A beautiful palette of greyish pinks, purples, greens, reds, and blues are coloring our floral designs and make sure people enjoy the beauty of those fantastic flowers! Hydrangeas are very extraordinary flowers: their colors change during their lifetime! When the flowers are fully grown and ready for harvest, their colors are called “fresh”. Think of bright shades of pink, purple, blue, white and green. The longer the flowers age on the plant, the more the color of the flowers evolve to deeper colors, mostly combined with grey and green tones. These flowers we call “Classic Hydrangeas”. Remove the lower leaves of the stems. Cut 1 cm of the stem, and repeat this every three days. Put them in a clean vase with fresh water and flower food. Don’t put them near your fruit basket, next to the heating or in full sunlight. Classic Hydrangeas: A Perfect Vase Life! Like we already told, Hydrangeas are cut from the plant in different stages: the more the flower is “colored”, the better the vase life. 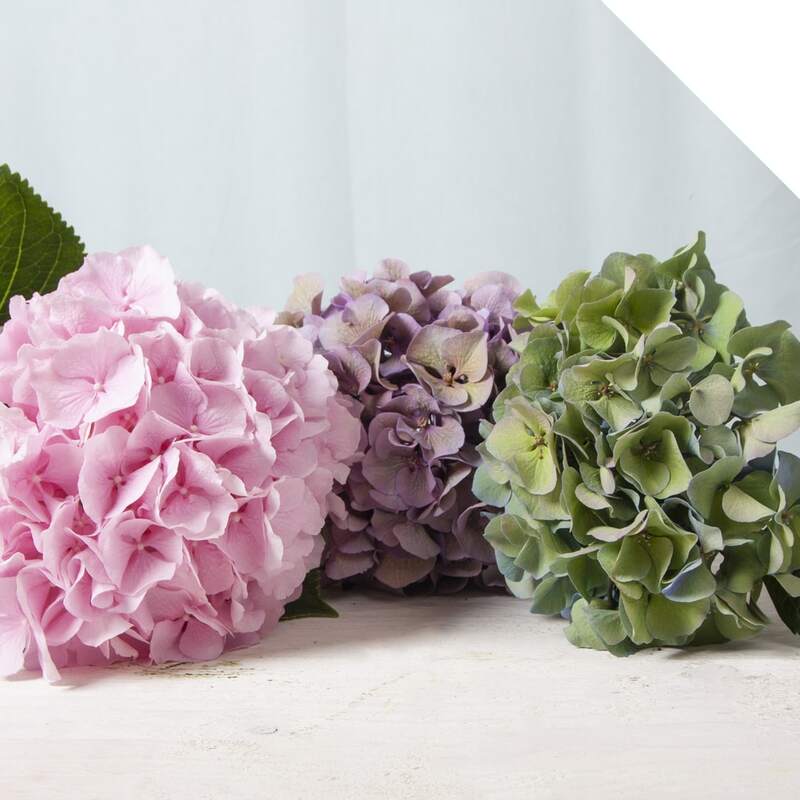 A Classic Hydrangea that feels firm, can have a vase life up to three weeks! How to dry Classic Hydrangea? From October on, it is possible to dry your Classic Hydrangeas. Doesn’t the stem absorbs any water anymore, and the leaves are hanging? Remove the leaves, and hang the Hydrangeas upside down on a warm and dry place, until they are fully dried. In this way, you can enjoy them for many more months! 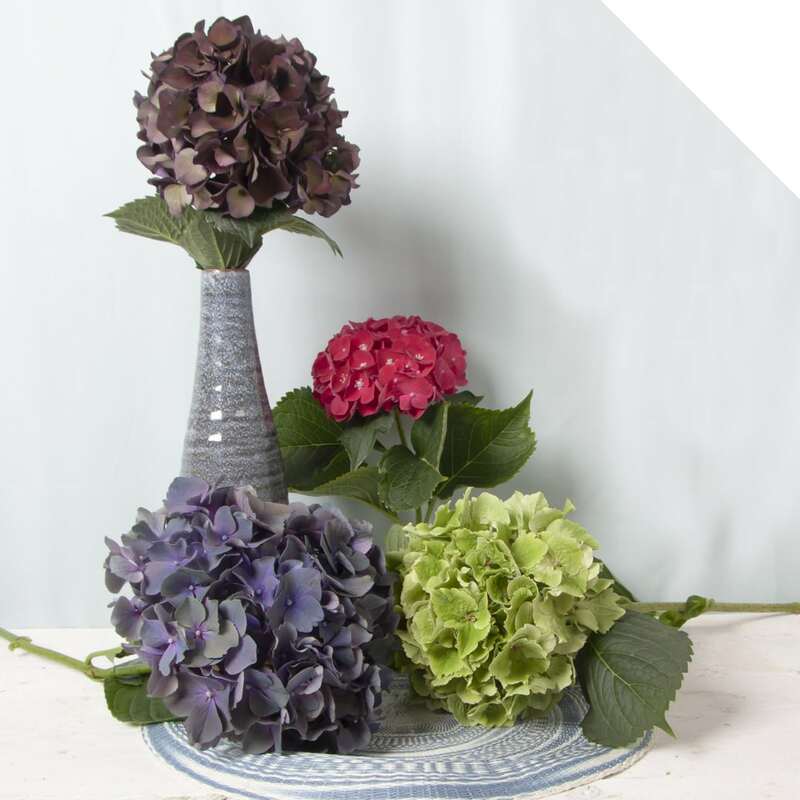 In our webshop, you can find a very broad range of Classic Hydrangeas from June to February. Our buying team is keeping close relationships with all high-quality Hydrangea growers in Holland. They visit the nurseries regularly to control the quality and availability. Curious? 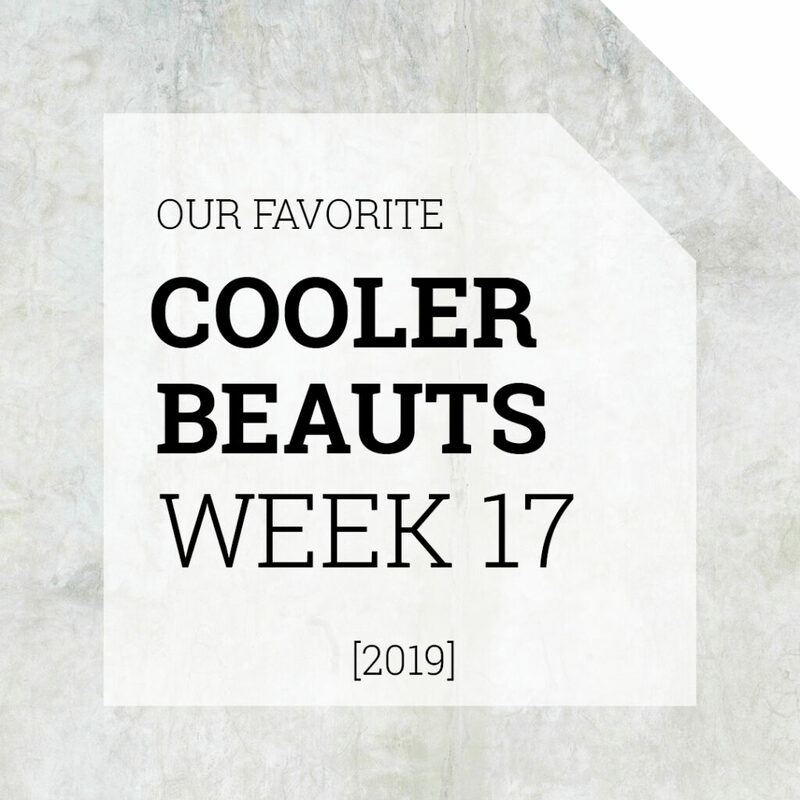 Read this post, about the Hydrangea road trip of our buyer Jordy! 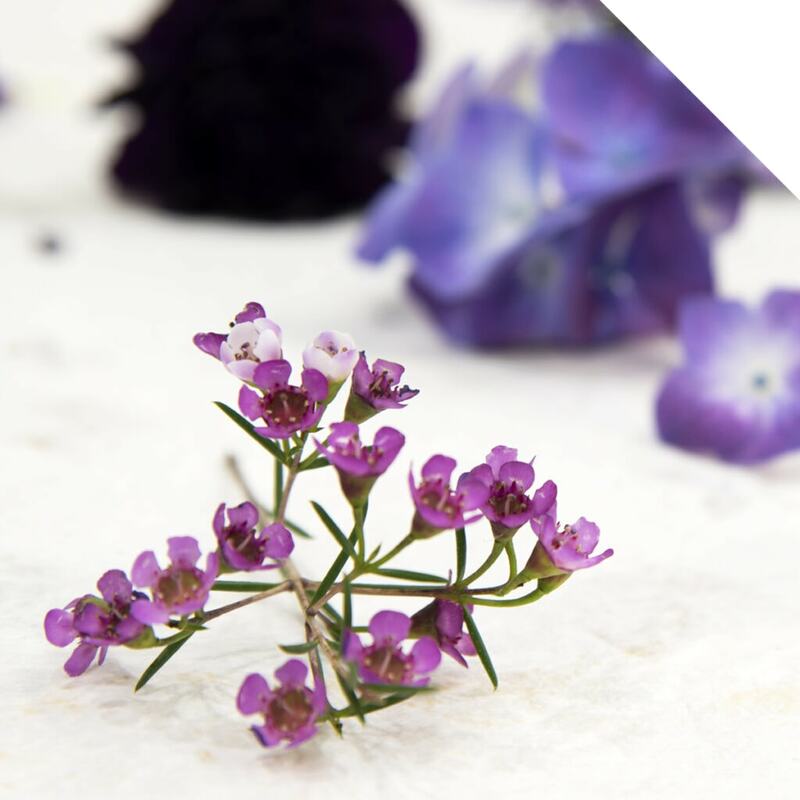 Please contact us if you want to import those fabulous flowers, or log in to our webshop if you already have a webshop account.